After 4 days off at Coober Pedy, I felt it's time to hit the road, and so be it. I took a break near one of the hundreds of abandoned cars, I saw a Dingo on the other side of the road, not letting me watch him for a long. One morning, after riding a few minutes, Andre passed me, we shared the ride together until Marla for the morning, we doubled each other several times during the after noon and Finally we shared the night together. Andre helped me to realize some things that I had put aside or not realized enough. he left me a overview of astronomy, the beauty of the starry sky as the constelation of the scorpion, that i admire has since each nightfall while having a thinking to Andre for thanking making me raise my eyes a little higher. 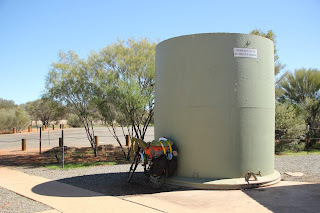 When I took my lunch in a rest area, I met Marco, a man traveling along the Stuart Hwy by car collecting cans 5km around each rest area to pay the petrol. Good to clean some rest area, some is so dirty... mostly near towns. I could see along 500 km, the environment changing, bushes providing shed, the trees becoming kings, and the colors are letting go. The next day I perceived gorgeous parrots, trees stop of growing and a shiny green grass grew on either side of the road. I rode through this new road happily and peacefully. Suddenly, my rear rack fell, having lost the top screws, it dragged on the ground tearing my bags and my mat. under a dark night, I was stuck 2 km before the next station (calling themselves Erldunda) without being able carry my luggage without spare screws and nothing for substitutes. I then decided to hitchhike, A truck stop then to help me. 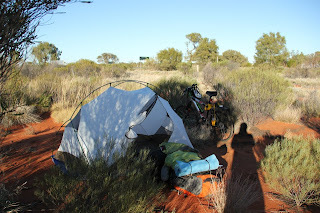 By depositing me, he asked me to help me find a good spot in the bush for put my tent, I refused. Heard many Dingoes howling early in the morning, I'm all ears admiringly at when I hear suddenly these howl who seem a wild and stamped beauty. 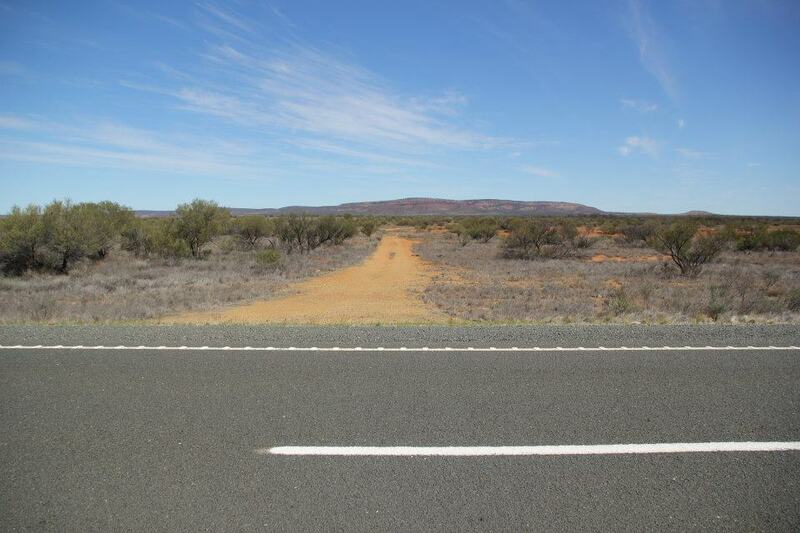 Lasseter Highway is a fully sealed 244 kilometre highway in the Northern Territory of Australia. 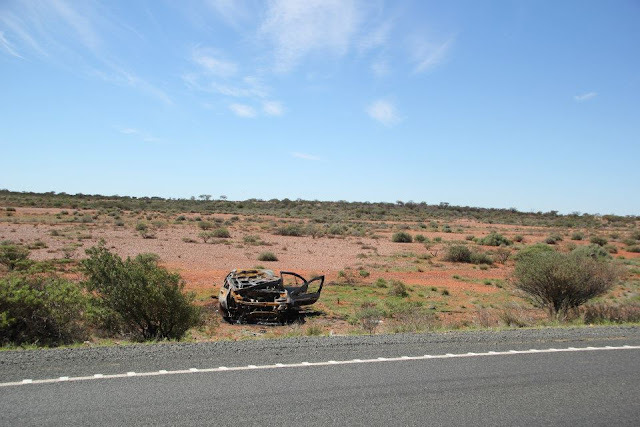 It connects Yulara, Kata Tjuta and Uluru east to the Stuart Highway. 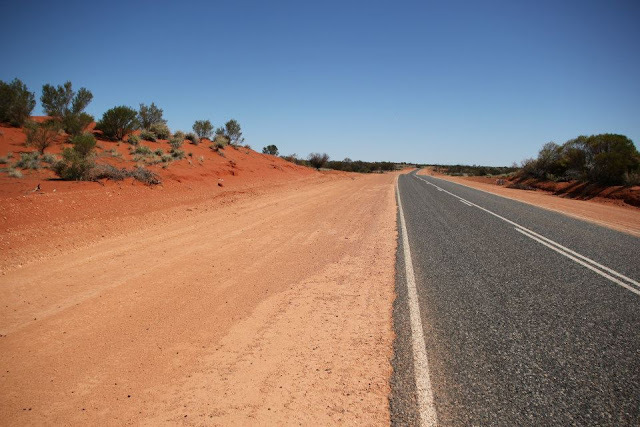 The highway is named after Lewis Hubert (Harold Bell) Lasseter, who claimed to have discovered a fabulously rich gold reef (Lasseter's Reef) west of Kata Tjuta. Thinking that Kulgera station will have drinkable water, I didn't filled my water bottles in the water tank for to be lighter. The station personel told me that there is not drinkable water over here. I will see at the next station Erldunda who was not so far. Unfortunately I find myself in the same situation, thinking they must be pragmatic, I didn't want buy expensive water, I fill my water bottles from the tap of the toilets and deposited purification tablets. 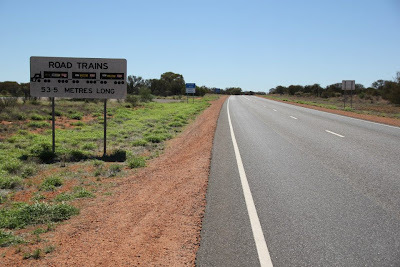 A van stopped, and I recognized then that it was Michael, the man who had given me fruits and water before Cobber Pedy, joined me again in a rest area for gave me some tools and exchanges few words. Then, he invites me to take a tea, we sit on the side of the road and share a nice moment together. he also gaves me some food and of course filled my water bottles. This is the first time someone thanks me for having given trust. - "Everything all right ?" - "Yes, i am good thank you !" - "we've got more water for you, have a drink !" 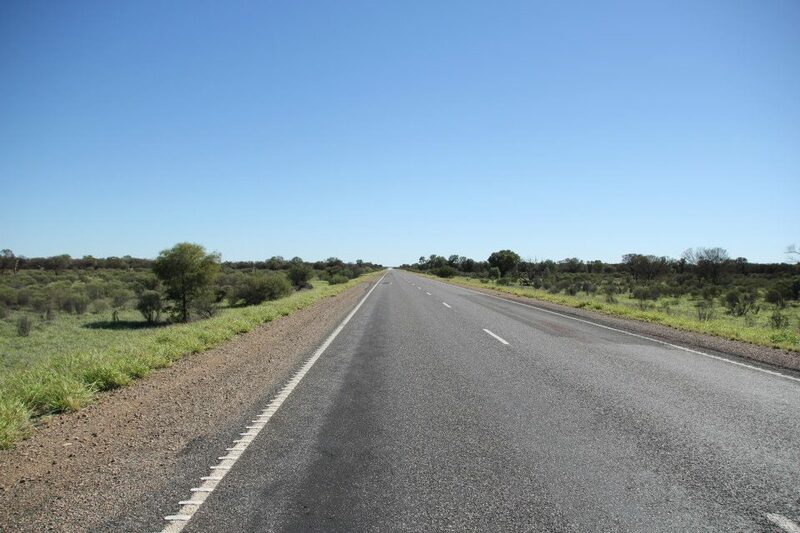 Arrived in Yulara, I filled my bags of food and I continue to go to the cultural centre of Ayers Rock, to discover about the history of this place so popular. 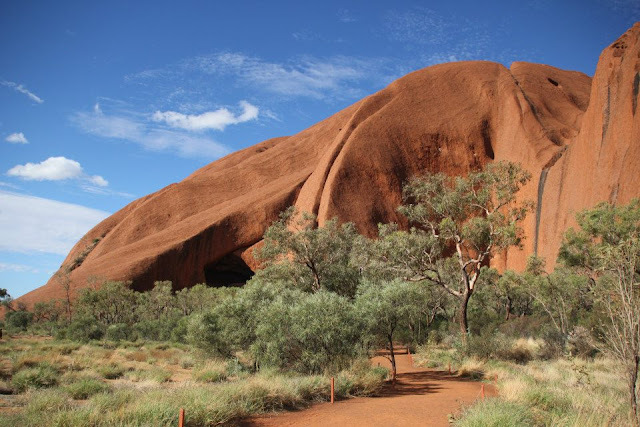 I then spent the whole day, to read all the information that was generously given about this place, aboriginal culture of Anangu and some fascinating stories Aborigines. I met again Tahiti, A young man I had met in Tasmania during the harvest of cherries, it suggest me to see the sunset with him and his friends. I met Andre on the way and we will meet up after the sunset to share the whole evening. spend all the morning at the cultural centre, Martha the woman who worked there, invited us to stay with her and her husband in the community of Mutitjulu. The after noon we discover this magnificent geological phenomenon marked by history. we did think has a huge chocolate mousse hehe. Then we follow Martha across the community by bike without stop until the house of her husband, welcome, we share some discussion and questions about the site. Andre, conscientious mood, shares at Martha my desire to discover the community by helping voluntary. Martha replica then it is possible and I can even find work. Two days ago I would have said yes to on, but I felt at the time that I needed to think. Advising us to walk to the top of a sand dune to watch the sunrise, we go into taking our breakfast and spend a good time. During the journey, you have several tests: Physical, psychic and spiritual. The honey grevillea is a recognisable shrub found growing in the Central Australia and Western Australia outback regions. 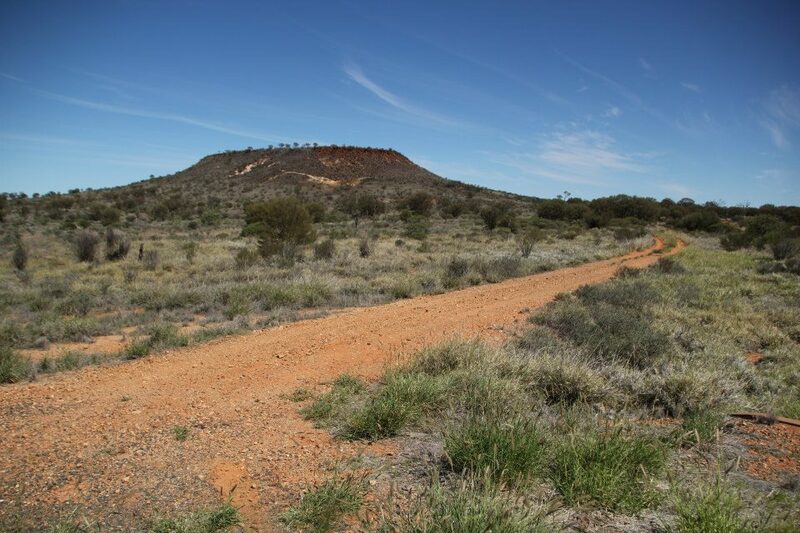 Its scientific name is Grevillea eriostachya, although more commonly known as Honey Grevillea or Desert Grevillea. It is collected as bush food by the local indigenous people, as enjoyed as a sweet treat by Aboriginal children. The bright yellow-green flowers contain thick, honey-like nectar which can be sucked directly from the flowers. The flowers can also be dipped in water to make a sweet drink. I then felt compassion for this country who have been upset. The mass tourism in such places made me uncomfortable. So much destruction in the past, and still no respect or real interest by most of the people coming... for what ? This site is affected by tourism, for sure I felt the symptoms of the Rock. The first White people came destroy their hunting grounds and their water source to look for gold. 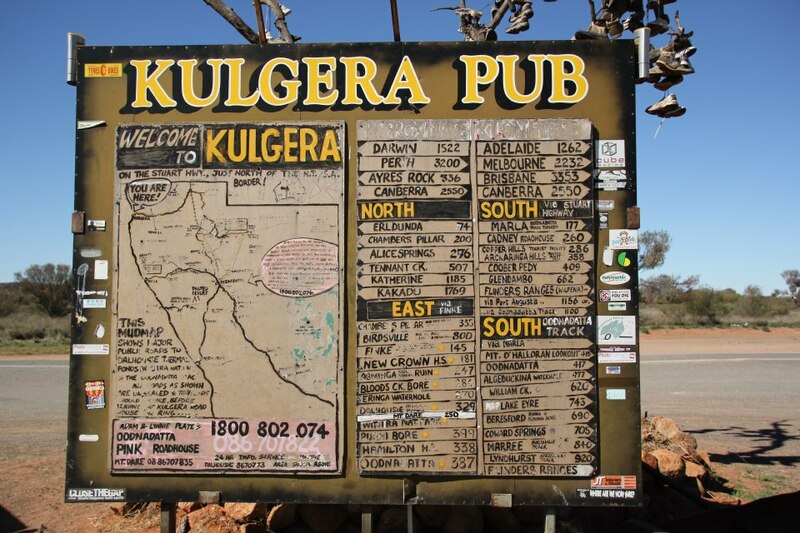 Several years after, When most is destroy, The governement want deal with them and give back the land(lost its wealth of yesteryear). 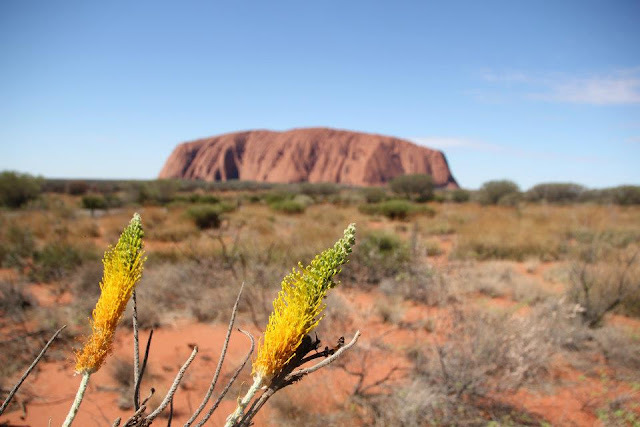 The Anangu was Happy to have them Land back, but will have to share the most sacred place with about 400 000 tourist by year... and most of then climb Uluru. 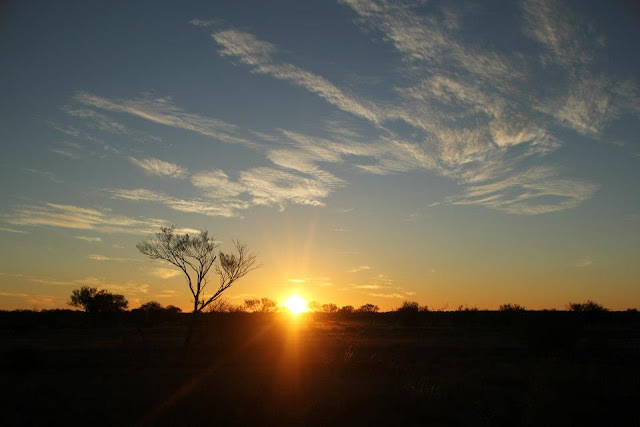 About the possibility of the volunteer in the Mutitjulu community, I didn't feel well.
" I feel that I'm not in my place as a lots of people over here." I am interesting to learn the aboriginal Culture, but I didn't really understood why, by curiosity ? its is right in this case ? I don't know. I like stories and I am interesting to live with the environment. but, Do they want share with any people ? Do they want help of any people ? I don't think so. I don't want to impose my self. Too much questions and interrogation, Need to step back. Is it right to go anywhere the curiosity could take us? Then it is possible to build my self being in perpetual motion? Is it right for me to go somewhere for fun and discovery and not to live in? I discover the environment, I discover the story, I discover another culture, I discover people, but I do not know them. I feel like I missed something. Traveling is good, but the way to travel is an important choice. I want to explore so many places on this earth, but Andre helped me to realize that we can't go everywhere. So I was thinking that the important thing is to stay longer has a place to make the most. but i was wrong again, finaly i think that make the most is to take time, but take the time means nothing in terms of time, it is the final to give the chance to make the right choice, one to soak up what we can to enrich us personnaly. Physics , Psychic and Spiritual. Make the most is to be aware of staying in a right place but also to be aware of the moment to leave. 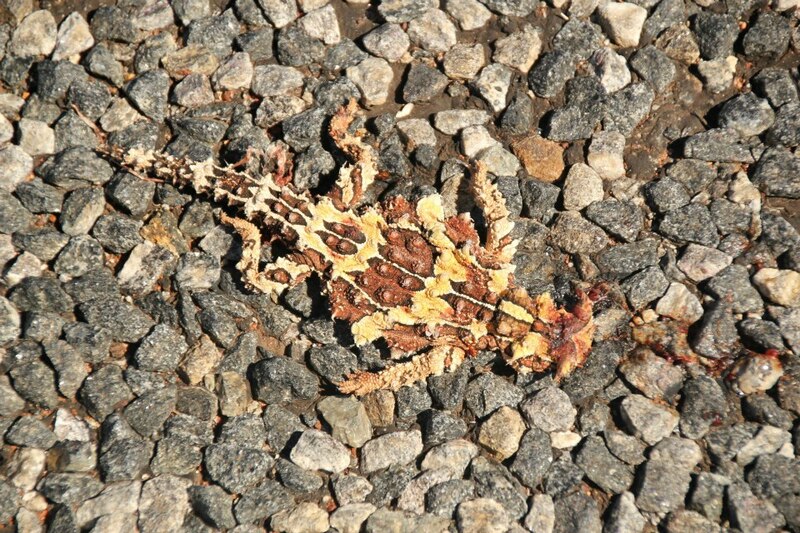 Nice to hear you are still going. Was thinking you may have stopped. 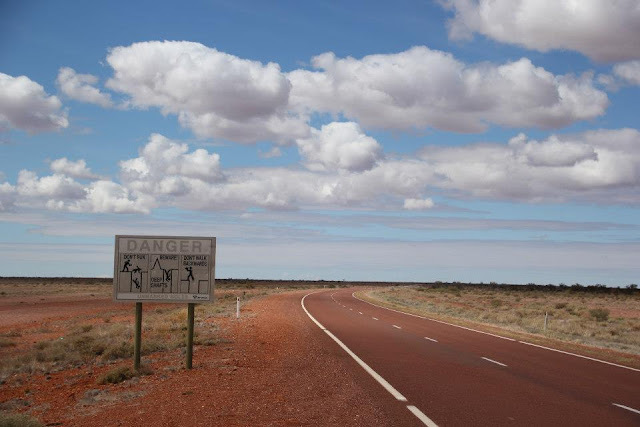 Pimba to Coober Pedy, The crossing of the desert.